Bright Path Kodiak Canvas tents, like many popular items, are difficult to keep around. These Kodiak tents are high quality, high demand, limited supply products. Since Competitive Edge Products, Inc. started selling these tents about 3 years ago, they have frequently been out of stock. As of today, February 21, 2012 all Kodiak canvas tents are back in stock. We hope to continue to serve your camping needs. Regardless of whether you're headed to the elk camp with your hunting friends, or campground with your family, or Scout camp with your troop, these robust, high quality, all-season tents are well suited for the activity. This line of products offer quick and easy, one-person, setup. You should get many years of use with these reliable, comfortable, sturdy, correctly made items. 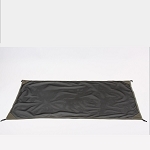 Durable, watertight and breathable tent material construction is made of Hydra-ShieldTM, 100% Cotton Duck Canvas. The frames are made of quality galvanized steel tubing while the rods are made of solid, spring steel. The importance of a good shelter is frequently overlooked. It is among one of the most essential equipment products to cover you in a satisfying getaway. Encounter the quality of these superior Kodiak Canvas tent products. Also check out our new site on Kodiak Flex-Bow Tents. [wp_rss_multi_importer category="6" maximgwidth="40"]View YouTube Video "Kodiak Canvas Flex Bow Tents"
Finally these are back in! We use these tents every year for our whitewater trips to Hell's Canyon and they take some abuse. We added more people this year and we need more Kodiak's because these are the only tents we will ever use any more!